Or should that be Renault’s Japanese cousin? The more I look into the story of this almost forgotten car, the more convoluted it becomes - so please excuse the long post. 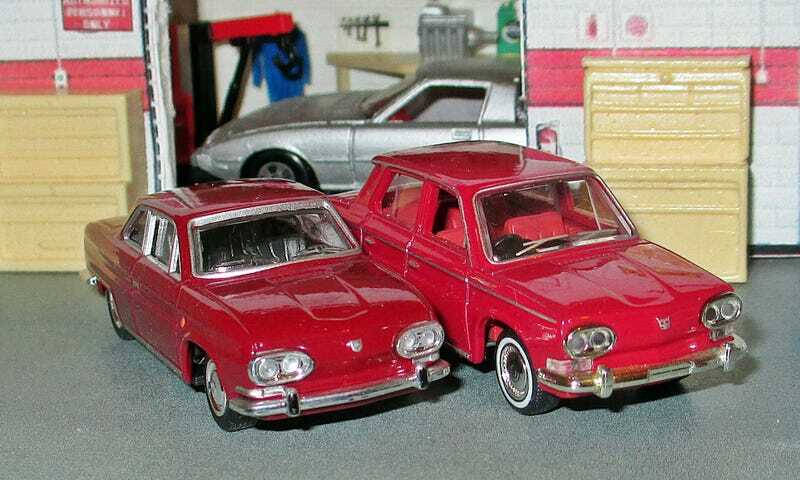 But I have plenty of pics too, as I can show you both sedan and coupe versions today. Japan didn’t have much of a car industry before WWII - and nothing at all worth mentioning directly after. So many designs that got the Japanese moving after 1945 came from Europe. And one of them was the Renault 4CV, built under licence by Hino Motors. This company has a long history dating back to 1910 - and Isuzu was one of its spin-offs. After the 4CV, Hino still used Renault derived engines and drive trains, but their design was now farmed out to Giovanni Michelotti - a famous Italian designer with a large and glamorous list if clients. He designed the A110 for Alpine - another Renault based car - so maybe he was the logical choice. But if you look at the Hino closer, you can see bits and pieces of other car’s designs. A bit of Triumph 1300 roof line here, a touch of BMW “Neue Klasse” there, a hint of Alfa around the rear end perhaps? Small wonder - Michelotti had designed all of these, and then some. His client list also included Ferrari, Maserati, Lancia - hell, even DAF. But it doesn’t end there, they even were assembled in New Zealand and Israel. In the US, none other than Pete Brock’s BRE Racing Team ran them! So then, what happened to Hino? After all, the cars were pretty, had some sporting success and some exports going- having earned a reputation for excellent build quality. Where did it all go wrong? Actually, it didn’t go wrong at all. As it happened, Toyota needed another factory to expand its line-up of commercial vehicles. And it didn’t need more competition in the small sedan and coupe market, as they were planning to release something of the kind themselves. So they bought out Hino lock, stock and barrel in 1966. They used up existing stock until 1967 - and then simply shut down car production. How did it all work out? Well, the Hino factory was used exclusively for commercial vehicles and trucks, and today Hino is still a major player in heavy duty trucks and military vehicles. Hino had planned a 1500cc model for 1968, but that was axed in favour of Toyota’s new small sedan, called the Corolla. That became the best selling car plate ever. The Hino Briska pick up received Toyota engines instead of Renault units, and was re-launched as the “Toyota Hilux”. And that became the best selling vehicle in its class until today. Renault switched from RR to FF cars, and bought Nissan. BRE Racing switched from Hino to Datsun and did rather well too. So it was smiles all round in the end. This small, forgotten car is really a bit of a legend!